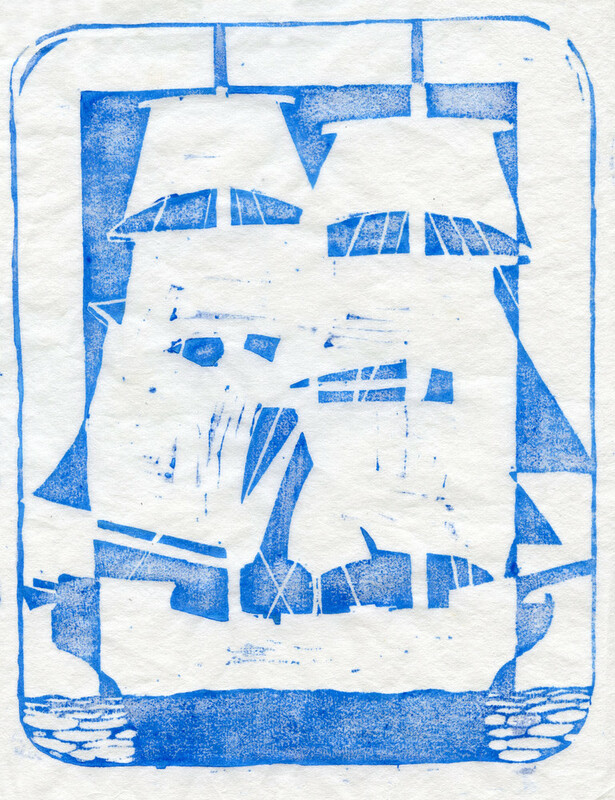 Woodcut print of a masted sailing ship. This was my first ever Japanese-style woodcut. Moku Hanga, the Japanese style, is different from Western woodcut in that the blocks are wet and printed by hand using water-based inks. The result is a very translucent and painterly effect. Each print comes out entirely different. The original print is 8" x 10" on Kozo (mulberry) paper. The water-based inks and translucence of the print seemed to connect well with the ocean and nautical imagery.